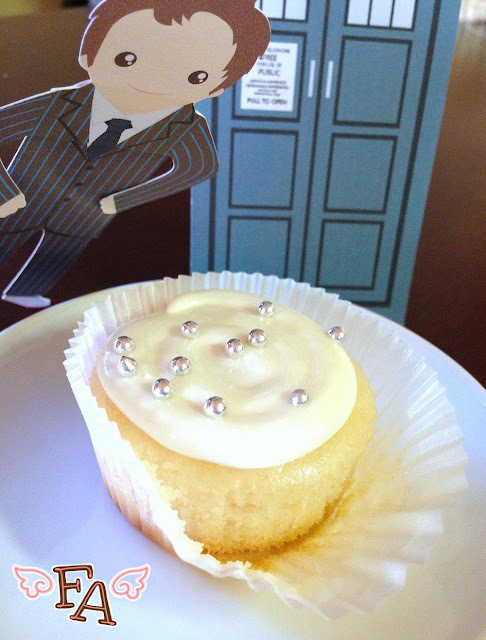 Fiction-Food Café: Rose Cupcakes w/ Edible Ball Bearings from "Doctor Who"
Rose Cupcakes w/ Edible Ball Bearings from "Doctor Who"
Congrats to Peter Capaldi for being cast in the role of the Twelfth Doctor! Huzzah! Now on to today's recipe! 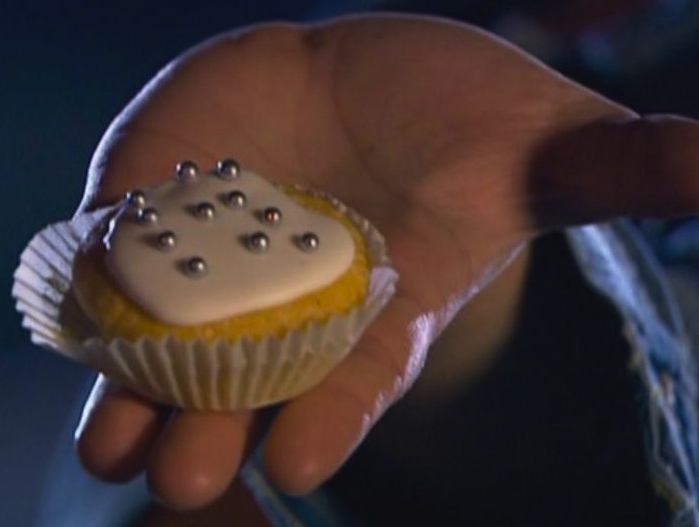 "Did you ever have one of those little cakes with the crunchy ball bearings on top? Nobody else in this entire galaxy's ever even bothered to make edible ball bearings. Genius!" [And later in the episode] "I can't stress this enough. Ball bearings you can eat, masterpiece!" —10th Doctor, s. 2, ep. 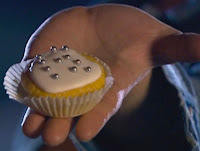 11, "Fear Her"
Leave it to sweet and clever Rose to pay attention to this little something of the oft rambling, full of wonder Doctor, and go and make him one and give it to him at the end of the episode. Accompanied by a big, beautiful smile, hand outstretched; Rose's love. In a cupcake liner. 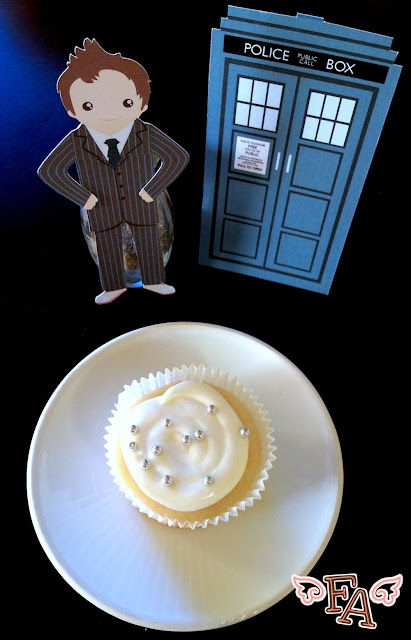 Because this meaningful cupcake was given to The Doctor by Rose I thought it would be fitting to make a cupcake that was rose (flower) flavored. The accompanying scent is very nice too. I remember these edible silver balls from my childhood but that might be because I spent several years in Germany. Here in the states these little metallic guys have had a bad rap. They were banned for a time in the early 1900s because (at that time) mercury may have been used in the coloring. Well ding-dong, it's not anymore, but the US Food & Drug Administration has decreed that state-side manufacturers have to print "for decorative purposes only" on the labels. In the UK though these metallic balls are considered edible and perfectly fine. The good Doctor probably had something to do with that. Note: To be accurate to the show make sure the dragées you get are the silver ones and are about 4mm in size. If you live in CA where they are not available (I bought mine in UT before I moved!) get an understanding friend in another state to send you some! 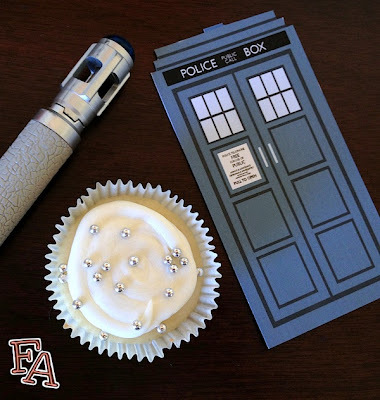 TARDIS & Ten bookmarks from Beth Yates @bethydesigns on Etsy. 1. Mix the cake batter as directed on the box & add in the 1/3 cup sour cream for extra moistness & more density (this is optional though). 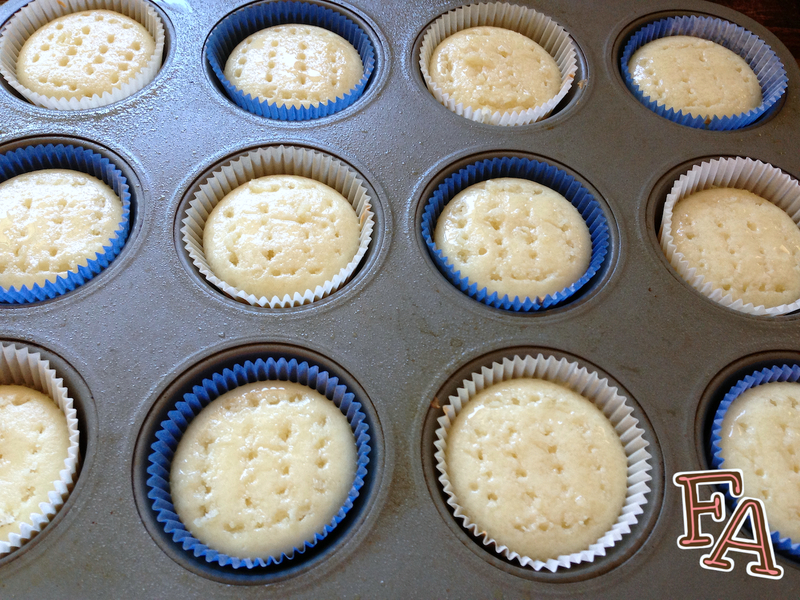 Place your cupcake liners in the pan & pour the batter in about 1/2 full for each cup. Bake according to the box directions. 2. While the cupcakes are baking, combine the rose syrup ingredients in a pan over medium heat & stir until the sugar dissolves. Turn the heat to low & let the syrup simmer for about 5 mins. 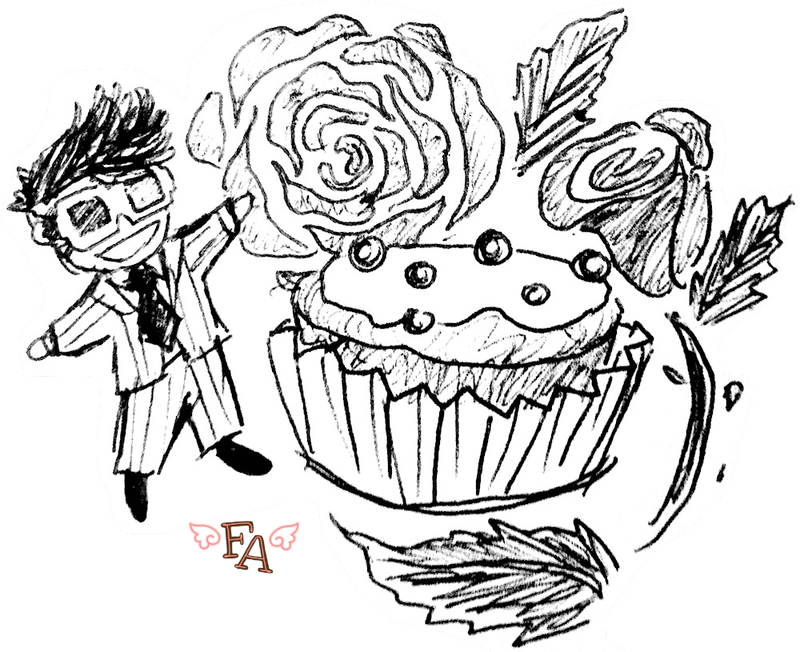 Optional: If you'd like to add rose flavoring to the cakes, aside from putting rose water directly into the batter, you can poke the tops of the baked-but-still-warm cupcakes with a fork & spoon a little bit of the syrup over each one. This does create a powerful rose flavor (& scent) combined with the rose frosting you'll be creating in a minute, so foregoing the rose syrup in the cakes is totally fine. 3. 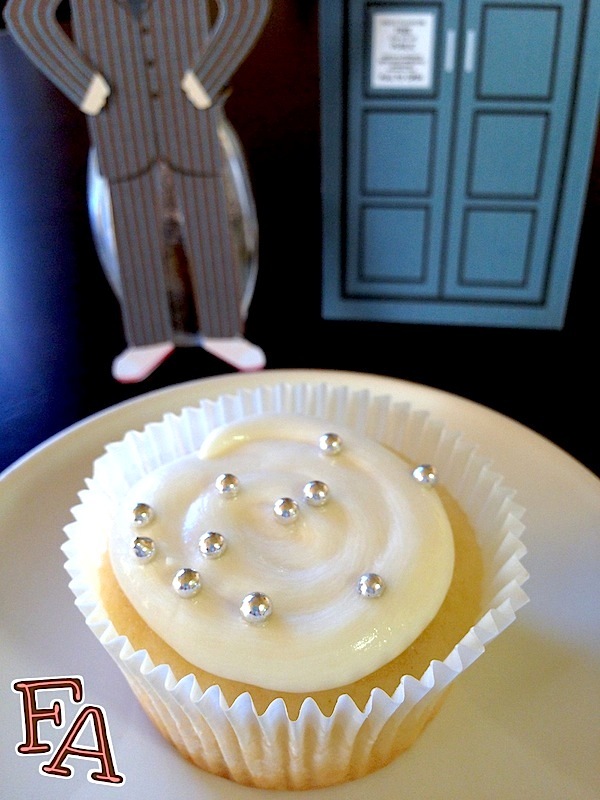 Whip up some buttercream with an extra Tbsp. of milk & instead of adding vanilla extract pour in a tsp. of the rose syrup. Give it a taste & add in a tsp. more if you'd like. Pour the frosting into a sturdy plastic bag & snip a decent-sized hole in one corner. 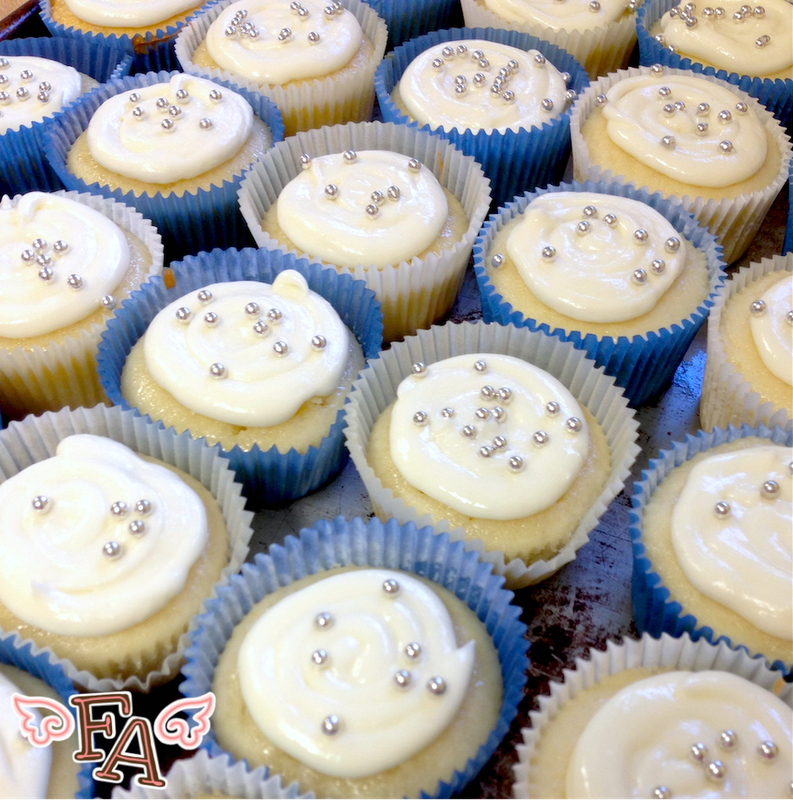 Make sure your cupcakes are completely cool & pipe a spiral of frosting on each one, leaving space at the edges to be accurate to the show. They don't have to be perfect circles either. Rose's wasn't & it added to the endearment factor. 4. 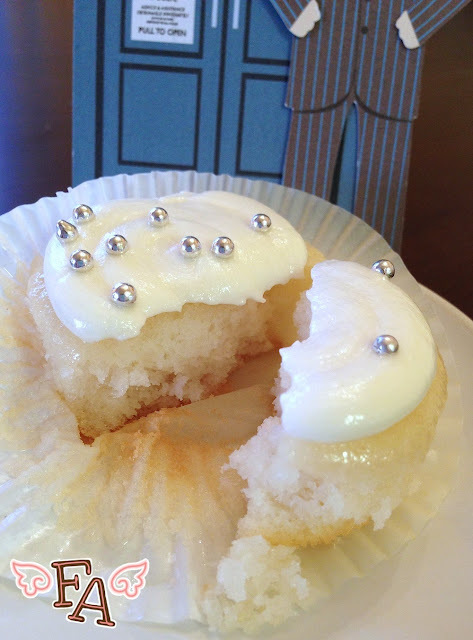 Pour a small amount of silver ball bearings into your hand & sprinkle them directly onto the frosted cupcakes while the frosting is still very soft & sticky (sprinkling the ball bearings from the container over your cupcakes will result in many balls bouncing around & totally missing their mark). Use your fingers to place some of the balls directly onto the cupcakes as needed to make sure each cake gets a decent amount of the love. Have a tea party, sniff your cupcakes, & enjoy! Tip: When you're finished using the rose syrup pour it into a glass jar with a screw on lid & store it tightly closed in your cupboard. HY!amazing your recipe and what a wonderful idea.Thanks for share. Thank you! These were a lot of fun to make.